2-21-19 Several all new decal sheets have been listed. Check the police and the EMS pages. 1-7-19 Thomas Quinn, I have answered all of your e mails. Something in the email return prevents it from getting to you, and each one has been undeliverable. Send me an email with your email address spelled out in the body, and perhaps you can get those decals. Ryan Klarenbeek, I have sent over 20 emails. I have sent emails from four different accounts. Its been two years now. 12-2-18 Released today, an all new 1:43 scale decal sheet. It is the Metropolitan Washington DC police. 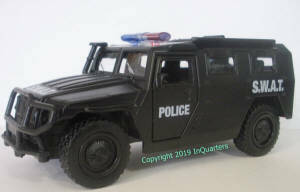 It includes numbers for making an individual unit, including the license plate and roof numbers. It also features unit and district numbers in two sizes, to fit Utility and Sedan models. 11-2-18 Today I have released one of the most comprehensive decal sheets ever printed. It is a wildland fire sheet. It has logos and markings for 22 state and federal agencies. Some of the agencies have multiple logos. Much of this I have printed before on various sheets. Its now combined on one large sheet. I also did a 1:43 scale version with markings for 15 agencies, with some having more than one logo. You can see a list of the agencies on the fire decal page. Also released today, two new EMS sheets. 9-28-18. In anticipation of some all new EMS decals coming soon, I have created a page just for EMS and EMS related decals. Any EMS decal that was on a fire or police page, has been moved, and assigned a new number. Check out the page for an all new Grady EMS, Falck sheet that arrived today! 9-1-18. An all new 1:64 scale Los Angeles City Fire Department sheet has been released. It features all new current graphics for both the city and LAX. There are also chevron markings for the ambulances in both yellow/gold and blue, with seperate white under lay decals, so the colors will really stand out. An all new Chevron sheet was also released today. This is a full size sheet, and features blue, florescent lime, red, black, metallic silver, yellow/gold, green, metallic gold and white . The white is .0005 smaller than the rest, so that you may use it as an under lay on darker colored models, making the chevrons really stand out. Also completed and ready to print, an all new fire sheet. This new sheet will be one of the most comprehensive sheets ever printed, almost two years in the making. Expect an announcement some time early fall. My flash sale of the week. 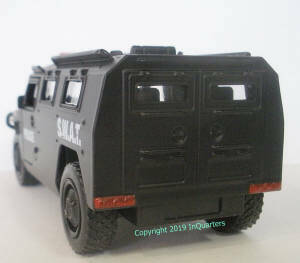 Featuring the current markings of the Alabama State Troopers in 1:43 scale. The white lettering and under lay decals are hard to see, but its there. They are 2 pieces for $4.00 while supplies last. They may be discontinued at any time, and I reserve the right to limit sales. Please remember, these are not "made at home" decals. They are commercially printed. I can not modify them, or change the scale, or alter them in any way.